Whether you’ve got a new addition on the way or need more space for your growing family, you might be considering moving house. Even if you love your home and your neighbors, if you need more room, then you need to move house. Once you start shopping for a new property, the chances are that you will come across a few homes in homeowners’ associations. These properties often have access to fantastic amenities, like swimming pools and private parks. However, many people are put off buying them because of the rules, and fees, that come with these homes. Yes, properties in homeowners’ associations do come with monthly upkeep fees. And yes, you can’t paint your house purple, but there are lots of positives to them as well. If you love the idea of being part of a close community, living in a homeowners’ association is ideal. As everyone is required to join the association and attend monthly meetings, you will get to know all the locals. Most of these associations have a homeowners’ club on site, where community events will be run. Things like BBQs, parties, activities for the kids, and all sorts of other events will be held here. These types of events are great for meeting your neighbors and getting to know the community. As well as having access to a homeowners’ club, you will also be able to use various on-site amenities. These include things like tennis courts, a gym, swimming pool, and parks for the kids. If you have a young family, like I do, having access to these amenities for free is a massive bonus. Plus, having these things close by is another fantastic benefit, as with young children, it’s not easy going far. 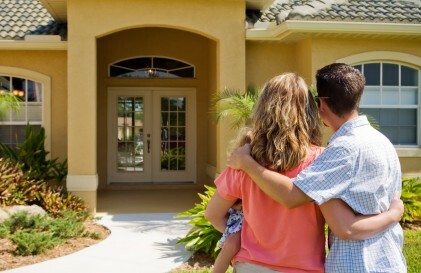 When it comes to buying a property, you are normally expected to look after it by yourself. If, for example, it snows, you would need to remove the snow yourself. This isn’t an easy task when you have a toddler or a baby to take care of. However, if you live in a homeowners’ association, these types of things are dealt with by the company who manages the area. One thing to look out for when buying one of these properties is the company who manages the association. You need to ensure that a reputable company is in charge of the association. One of the best management options is Cedar HOA management – their services are always of a high-quality. If you move to a neighborhood where the other homes aren’t kept in good condition, it can decrease the value of your property. Whereas when you move to a house in a homeowners’ association you know that this won’t be the case. There are many pros to moving to a homeowners’ association neighborhood; these are just a few of them. I didn’t know that the managing company of a homeowners association deals with tasks like removing snow. That would be really useful since, like you said, doing things like clearing away snow when you have young children is really difficult. Having services like that and having access to pools and other amenities make living under a homeowners association sound pretty appealing. Thanks for the information.